Two-and-one-half story frame Colonial Revival style house built circa 1930. 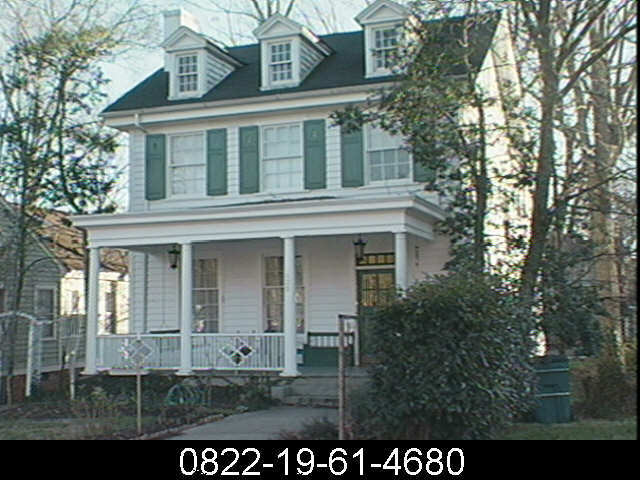 Recalls Federal style houses of New Bern, N.C., in its proportions, three tall gabled attic dormers, and side hall plan. Full-facade porch with finely molded cornice and entablature rests on Tuscan columns.